When you want to use a glut of onions for soup you think French Onion Soup right? Well I do anyway – caramelised onions with a hint of wine in a delicious beef stock topped with rich cheesy Gruyére croutons. Heaven in a bowl……. But what about an Irish version? 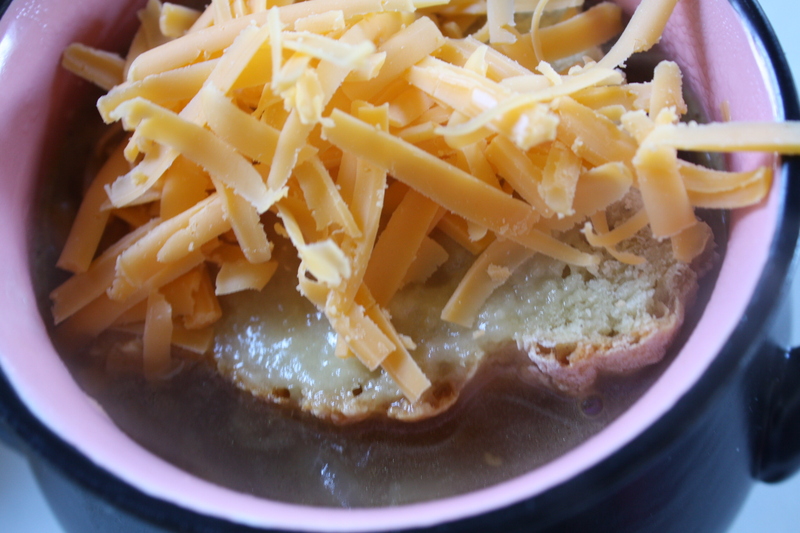 What if you substituted the wine with Irish whiskey and the Gruyére with Irish cheddar? And what about replacing the sugar with pure Irish honey from the garden? And what if I replaced the croutons with slices of homemade soda bread? Well I did exactly that and created a “one bowl” lunch that is seriously tasty and sublimely satisfying. It is sweet, cheesy and tangy all at the same time. This isn’t the quickest soup to make because it’s important that you allow the onions enough time to caramelise, but it is seriously worth the little bit of effort. Having said that, it goes without saying that it is actually very simple to make. My neighbour recently gave me a big bag of onions and that’s how my “Irish” French Onion Soup came about. Melt the butter and honey over a low heat. Add the onions, cover and simmer for ten minutes to soften the onions. Remove the lid and allow the onions to cook for another 25 minutes until they have caramelised (stirring occasionally). Add the whiskey and cook for another 5 minutes. Add the stock and simmer for ten minutes. 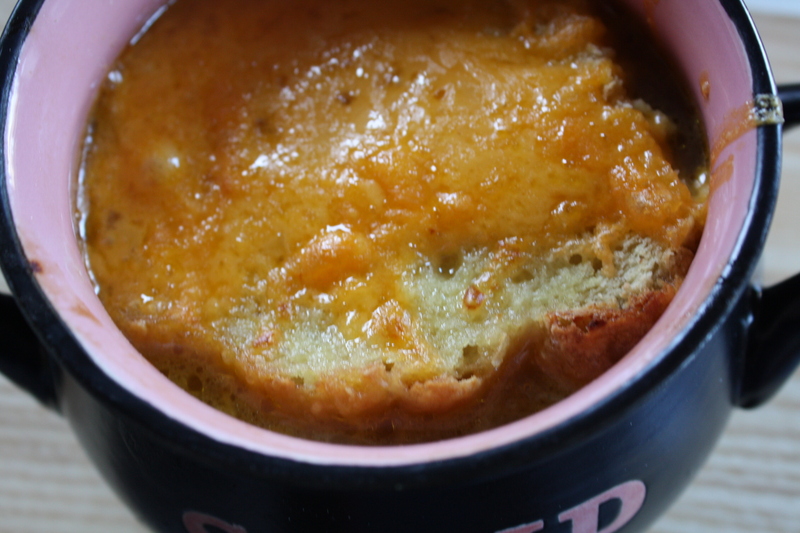 Put the soup in a bowl, top with bread and grated cheese and place under the grill until the cheese is melted and golden. 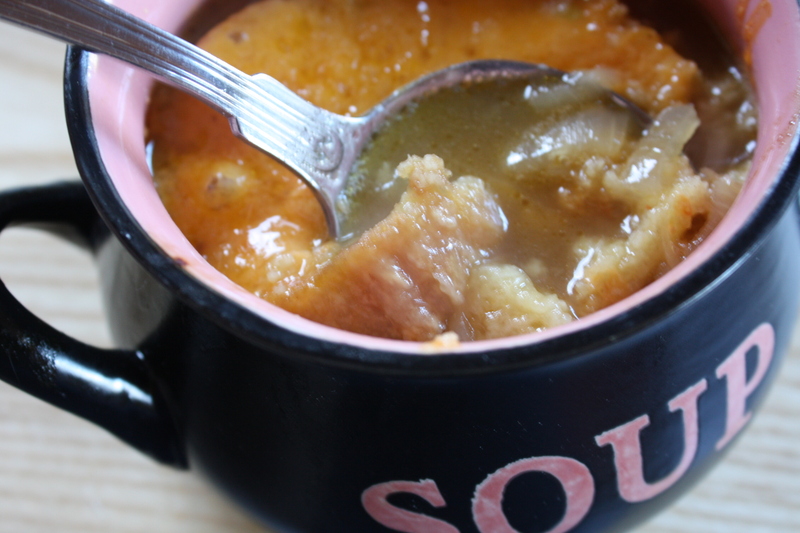 Try it over the weekend for lunch – it’s the ultimate comfort food on a cold day. Fab and easy to make – my favourite type of food! Very nice Fiona. I cooked a French onion version last night. It too was very tasty. It’s certainly the weather for it. To book a demonstration/talk for your group, email Fiona on fiona.dillon@hotmail.com or phone 085 1057314. 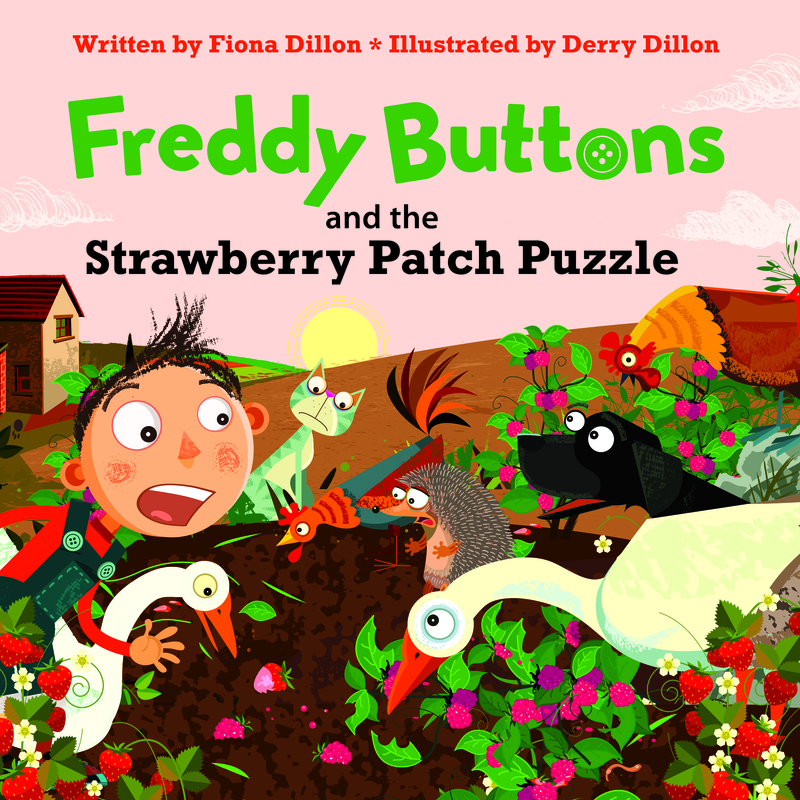 All articles and blogposts written by Fiona Dillon are copyrighted. The photos you find here are styled and produced by Fiona Dillon (unless otherwise stated) and are also covered by copyright. Please do not copy or share without permission. Contact Fiona if you would like to use/share her posts or photos. She doesn't bite and is almost always most agreeable!